To many grooms, selecting a wedding day color may seem quite trivial in the realm of planning the entire wedding event. However, for most brides, choosing a wedding color and/or colors is the glue that connects the dots. It helps define the mood and theme, as well as extends into every aspect of the wedding: the invitations, table décor, centerpieces, cake, flowers, and in some cases the bride’s dress itself. The trend today is to go big and bold with color everywhere—to make a statement with every little detail to signify your event. 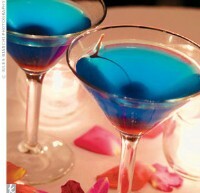 Color is now showing up in signature drinks, the hor d’oeuvres, lighting, candles, etc. So, how do you go about choosing the perfect colors or color scheme for your wedding? Of course, there are many factors to consider in this all-important decision. First off, consider your favorite color or colors. That just might work for you. If you like pink, incorporate soft hues and shades of pink. If you like more dramatic colors such as burgundy or magenta, infuse those into your creativity. Pick your most-desired colors and done. Also, take into consideration the wedding location and ceremony, the time of year, and which colors are in style now. For example, accents of brown and even black are extremely popular with today’s contemporary brides. First off, your wedding location may dictate a color scheme for you based on its interior décor. For example, if your reception site is a country club that has navy and gold carpeting and draperies, lavenders, pinks and yellows will definitely clash. Regarding time of year… if your event is a winter wedding, you may opt for richer colors of deep reds or sapphire blues. For a summer beach-themed wedding, soft tones of peach and oranges might complement the scenery just right. These are all things to consider when accentuating your occasion with color. Also take into account the feeling you want to evoke on your wedding day. Do you want it to be upbeat and fun? Then choose bold, bright colors. Do you want it to be sophisticated and romantic? Maybe go with a combination of red, black and ivory. Do you want it to be peaceful and Zen-like? Choose soft sages and tans. For a multiple room event, it is also perfectly acceptable to pick one color scheme for your cocktail hour and one for the reception. The possibilities are endless. 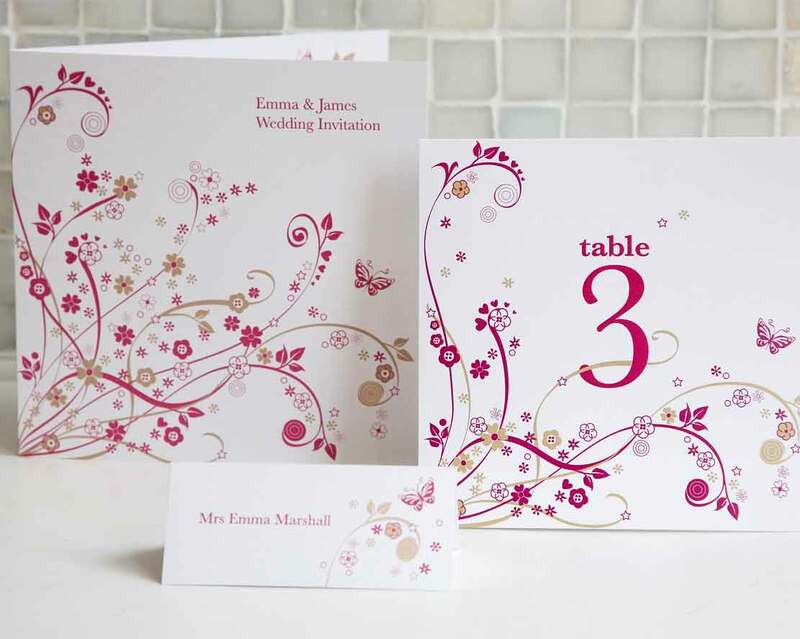 As the first thing people see, invitations set the stage and initial mood for your event. It’s simple to add “your colors” to the font, personal monogram, or ribbons when announcing the wedding. When it comes to flowers, there is most likely a particular flower available in your exact colors. Keep in mind however that they may or may not be affordable and in-season at the time. If that is the case, simply select white flowers as your base and small accent flowers in your particular colors to add consistency to your wedding details and décor. Applying color to your cake is one of the easiest ways to use color. White fondant icing is essentially a blank canvas for colorful detailing with flowers, stripes, or polka dots in your favorite colors. Most fondants can also be made in any color or shade of color today. 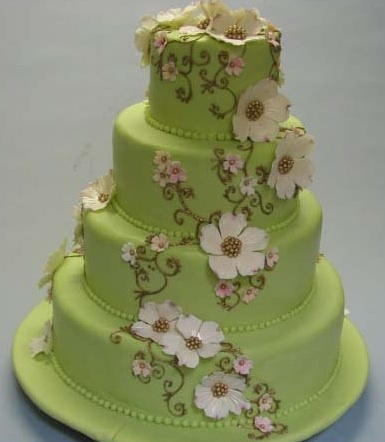 Another idea, showcase a different color on every layer of your cake for maximum impact. Simply showcase color in your favor packaging. 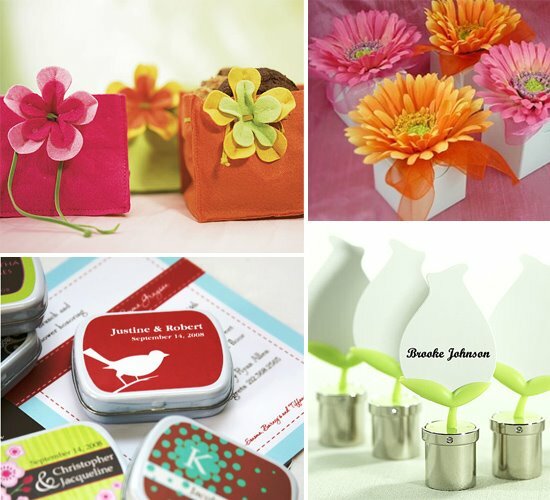 Use gift tags, paper, fabric, and ribbons to add little touch of your color for your guest gifts. Colorful cocktails are very popular today. Some ideas include bright yellow Mimosas for an early brunch wedding; pinkish red Cosmos for a destination wedding; or Blue Martinis for a Winter Wonderland evening affair. Yum. 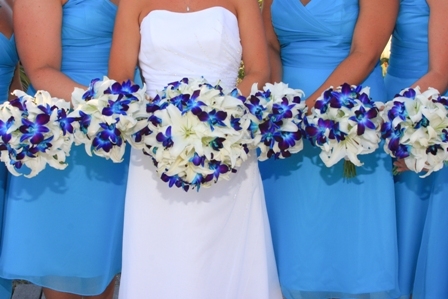 Remember there are many other ways to incorporate color into the small details of your wedding. Think about the napkins, centerpiece containers, colored wine glasses, bridal accessories, guest book, drinks, appetizers, food staging, etc. Be creative, the list goes on and on. ← Congratulations to our September Couples!